In case you haven't caught on lately, the Texas Rangers and Houston Astros are both very highly thought of in terms of their full organization — starting from the bottom and on up to the top after the Astros led the AL West for much of the season last year before the Rangers closed strong to catch them for the division crown. Even still, both teams were in the playoffs with the Rangers losing in heartbreaking fashion to the Blue Jays and the Astros losing in four games to eventual world champion Kansas City. But it wasn't just the big club for each team that has enjoyed success as both farm systems are ranked among the tops in baseball by several different authorities. 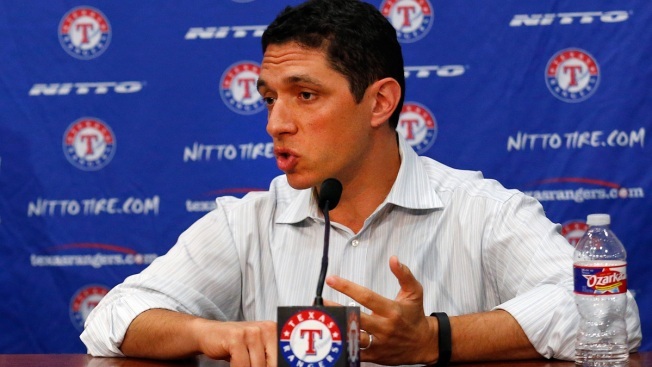 The most recent to give them love has been Baseball America, who ranked the Rangers No. 7 and the Astros No. 2 in their Organization Talent Rankings thanks to their rich farm systems and good, young players at the big-league level. The rest of the AL West didn't fare so well, as the A's were No. 18, the Mariners were No. 28 and the Angels checked in at No. 30. In case you forgot, there are 30 teams in Major League Baseball, so way to go Angels.